An award-winning, characterful Grade II listed, 1,800 sq ft space, our Sadler Gate salon oozes charm through exposed brickwork, reclaimed and antique furnishings. A stone, grey and plaster pink colour scheme complements the brick and wood tones, adding natural warmth to the interior. Styling stations, retail space and reception and hair spa areas each boast their own lighting, while exposed brickwork, which has been sealed for originality, truly complements the reclaimed and antique furnishings. 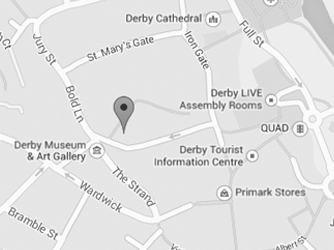 Opened in 2013, our salon is housed on Sadler Gate in the heart of Derby city centre. The salon, which relocated from our former Iron Gate location also in Derby, opened to coincide with the anniversary of our first salon opening on Friar Gate in 1983. Now housed in the heart of the vibrant and pedestrianised shopping street in Derby's Cathedral Quarter and extended over three floors, the 1,800 sq ft space enjoyed a six-month transformation that re-configured the characterful Grade II listed building to suit our salon needs. 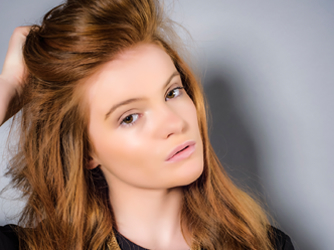 We offer a full range of premium colour services across a spectrum of on-trend colours, ranging from ice-cool blondes through to warm shades of copper and browns. We believe that a thorough consultation is the key to a fantastic colour service, which is why our technicians always take into account your style, hair condition, skin-tone and lifestyle. Sadler Gate boasts it's very own L’Oréal Professionnel Colour Specialist, Lizzie Fox, who also manages the salon and is on hand to provide expertise to the rest of the team. After 6 months of disaster haircuts and elsewhere I was reluctant to ever have my hair cut again. However I booked a last minute appointment with Lucy today and I am absolutely over the moon with the result. I did tell her how happy I was but felt she needed a little more appreciation and acknowledgment. So a huge, massive thank you Lucy! I am no longer a mumsie middle aged frump. I would like to mention Lizzie from the Sadler Gate salon. She is so amazing, always bubby and charming and always mindful of how you wish your hair to be. Very helpful on the advise and ways forward with colour and style. An amazing individual, always full of energy and happiness. Thank you for a wonderful service. As a L'Oréal Professionnel portfolio salon we exclusively stock only the most luxurious product ranges, these include: Kérastase, Shu Uemura Art of Hair, Serie Expert, and Techni Art. 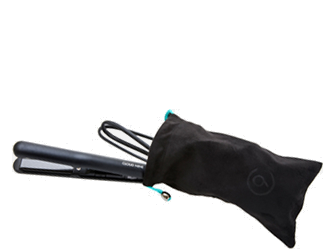 We also carry the complete range of electrical tools by styling giants Cloud Nine and GHD and offer complimentary 'how to' tutorial vouchers with every electrical item purchased in salon. I was thrilled to win second place at the Shu Uemura Art of Hair Muse Awards earlier this year. After submitting and entry photograph and mood board I was chosen from hundreds of applicants across the UK to take part in an exclusive photo-shoot at Photolink studios in Manchester. I had a fantastic time on the shoot and won second prize overall with my avant guard look, which has now been printed in the high-end hairdressing magazine, Tribute. My new favourite range is the Kerastase Discipline family. Hair is left stronger, moisturised and controlled and the use of all three products ensures 72 hours of anti frizz protection with incredible shine and movement. The benifit of the spray is that it protects from heated tools as well as leaving the hair smooth and glossy. There is also the 'Protocol', an in-salon service that lasts for up to ten hair cleanses so it's great for holidays. I couldn't pick just one product out if this range, I love using the whole set together for maximum results! Since opening, Sadler Gate salon has been recognised for the restoration of the site by two separate awards and the unique interior has been showcased in several magazines, take a look inside here. As a L'Oreal Professionnel Portfolio salon you can be assured of impeccable service, attention to detail, on-trend haircare advice and a wide range of technical and salon services that ensure you leave with a personalised look that suits your style. Our Sadler Gate salon is housed in the heart of the vibrant and pedestrianised shopping street in Derby's Cathedral Quarter. You'll find us opposite the entrance to the Strand Arcade and parking can be found in Bold Lane Car Park at the bottom of Sadler Gate.